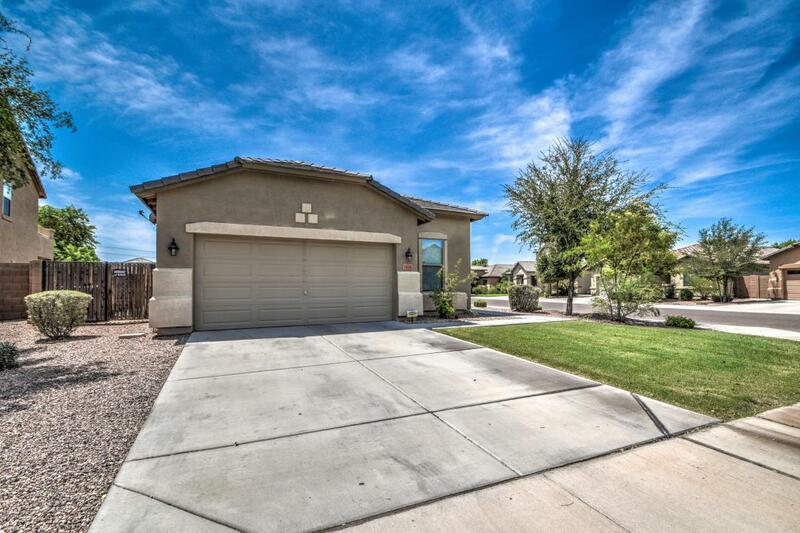 This spacious 4 bedrooms, 2 bathrooms home is nestled on a large, premium corner lot! 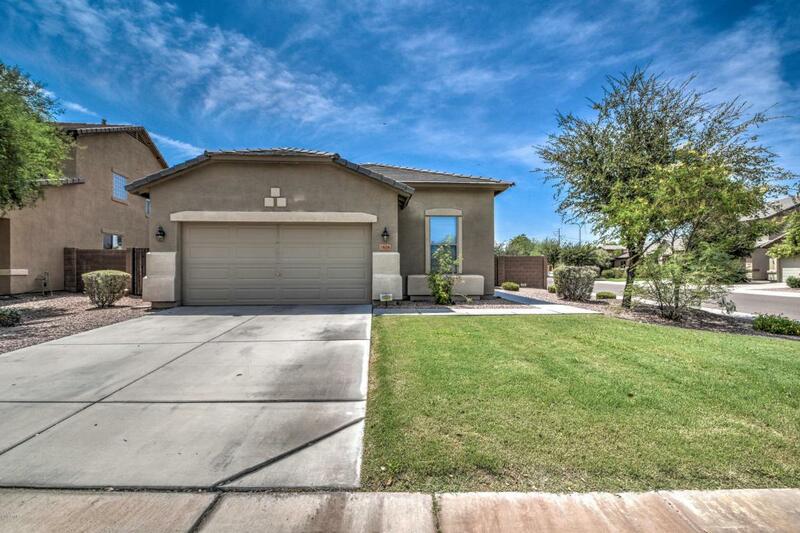 Great for entertaining, this home has a master bedroom split floor plan with no bedrooms sharing a common wall. 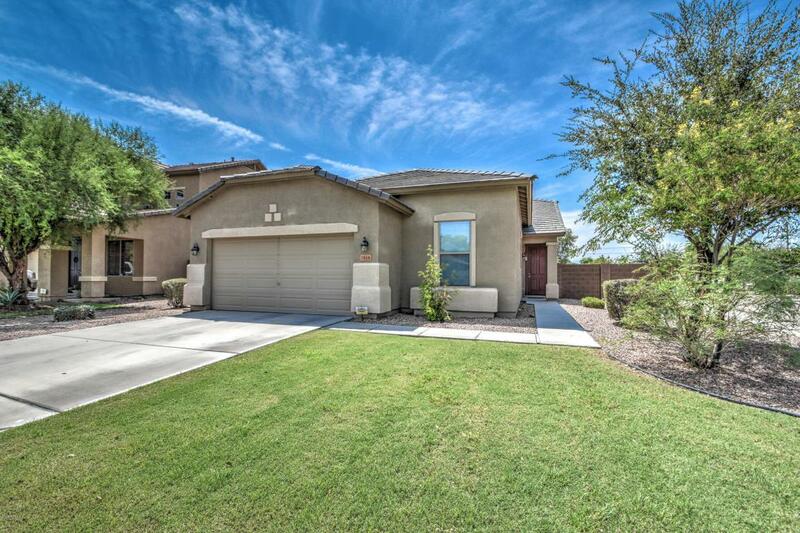 The kitchen has cherry wood cabinets, island, large breakfast bar, refrigerator and gas range. Surround sound pre-wiring in family room and backyard covered patio. Both bathrooms have cherry wood raised vanities with bull nosed countertops. 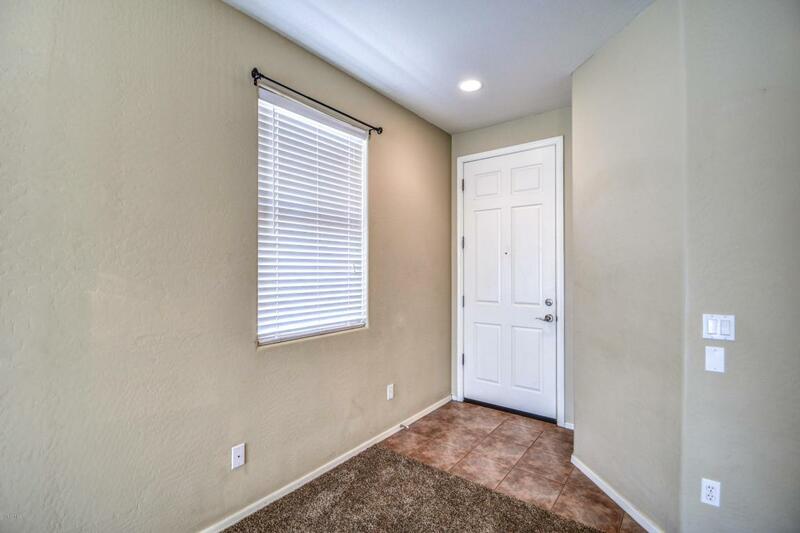 The master suite has separate shower & tub and walk-in closet. Private laundry room with cherry wood cabinets and washer & dryer included. New carpet installed in August of 2018. The large backyard has citrus trees, covered and uncovered patios plus large side yard great for storing toys or a dog run with a 9.5 ft side gate. A must see!! !